Patrick A. Kohlmann is the managing partner at Temmerman, Cilley, & Kohlmann. He specializes in the areas of estate and business planning, trust and decedent's estate administration, property tax planning, probate, conservatorships, and related trust and estate litigation. Patrick is passionate about the law. He was Chair of the Executive Committee of the Trusts and Estates Section (TEXCOM) of the State Bar of California (now known as the California Lawyers Association) from 2015-2016, and continues to serve on the Executive Committee, which allows him to be actively involved in monitoring, drafting, and critiquing legislation that affects trusts and estates practitioners, clients, and the general public. He is also a member of the Judicial Council's Probate and Mental Health Advisory Committee, a Fellow of the American College of Trust and Estates Counsel (ACTEC), and has consistently been named a Northern California "Super Lawyer." Patrick is a CPA, and practiced public accounting before becoming an attorney. 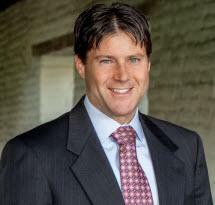 He is recognized by his peers as a Best Attorney in America (Best Lawyers®). Patrick is a frequent lecturer for many professional education programs such as the California Lawyers Association, the Continuing Education of the Bar, and others. He has published a variety of articles on estate planning, probate, and trust law. Patrick is an avid marathoner, having run Boston, New York, Chicago, Big Sur, and many others.